"As per the ancient words, "Thou shall not murder,' for G-d's sake! What is the point of living in a Jewish state, and going through so many trials and tribulations to protect it, if the officials of this country do not see fit to condemn such an abysmal act? How are we different from other nations, if the murder of an innocent woman does not shake us, just because the murderer comes from among us (allegedly), and the murdered person is the daughter of another nation?" Haaretz+’s Judy Maltz writes that due to the formation of "Hayamin Hadash" (New Right) party, two of Israel's three religious parties may not pass the threshold to make it into the next Knesset, which may be why Justice Minister and co-chairperson of “Hayamin Hahadash,” Ayelet Shaked, was offered to lead Habayit Hayehudi faction, which she just left. She refused the offer, Yedioth reported. And far-right-wing MKs Bezalel Smotrich and former Agriculture Minister Uri Ariel are running against each other to lead the Ichud Haleumi (National Union) party. Ynet reported that Dema Taya, 25, a Muslim Arab woman from northern Israel intends to run in primaries for Israeli Prime Minister Binyamin Netanyahu's right-wing Likud party. As a result, Taya’s extended family from Qalansawe town, in central Israel, released a statement that they are distancing themselves from her. “We are all familiar with the Likud and its leader who, during his tenure, 15 homes were demolished in Qalansawe. Dema was silent in response to that,” one family member told Ynet. Taya recently participated in an Israel advocacy campaign in the US. Meanwhile, the pro-Netanyahu ‘Israel Hayom’ newspaper was the only one to publish a report according to which a court ruling could affect the corruption case against Netanyahu. And Haaretz+ reported that months before the Shin Bet chief warning, Israel’s cyber chief Yigal Unna warned of cyber assaults on state facilities. Today’s top story was the farewell party for outgoing IDF Chief of Staff Gadi Eisenkot attended by all the who’s who in Israel’s political and military echelons and also in the news was the double murder in Jerusalem of an older couple at their home. Today, Eisenkot takes off his uniform and is replaced by Lt. Gen. Aviv Kochavi. Netanyahu confirmed that it was Israel who attacked in Damascus over the weekend and that it has hit hundreds of Iranian and Hezbollah targets. Netanyahu's confirmation comes just after Eisenkot revealed in weekend interviews that Israel has hit thousands of targets in Syria over the years of the civil war there. The Israeli army also announced that it found the last and largest Hezbollah cross-border tunnel and that it had ended its six week operation to destroy the six tunnels. The Lebanese Ambassador to the UN called on the UN Security Council to act against a border wall Israel is building along the joint border, saying it breaches a post-Second Lebanon War resolution. And the papers continued to ask whether Hezbollah leader Sheikh Hassan Nasrallah was in bad health, for which an Iranian official said Israel was spreading lies about Nasrallah's health. Also of interest was an article from two weeks ago that Ynet translated now, which gives fascinating detail about how the Shin Bet tried to extract a confession from a suspect of Jewish terror. In one incident described by the court, an undercover policeman acting as a prisoner threatened the 17-year-old minor into entering a bathroom with him, and, as part of their deception and efforts to scare the youth, sounds could be heard from the next stall as if Arab prisoners were being cursed and harassed by interrogators. Haaretz+’s article on the court's release of the Jewish terror suspect who retracted his confession does not provide as much insight and is behind a paywall. Trust Israeli Arabs to Splinter Politically (Odeh Bisharat, Haaretz+) I hereby announce with regret, mixed with relief, that we must adopt the words of Ecclesiastes: 'There is nothing new under the sun.’ In a few decades, some diligent historian will discover that at the very moment that the Arab world was mercilessly riven by schisms, a uniquely favored group, comprising some 2 million Arabs, confounded all expectations to unite behind an electoral bloc. We can confidently predict that our dedicated but pitiable historian will never understand, despite all his research, the reason it disintegrated. We must not let only one version be discussed in the media on the eve of the elections (Dr. Haim Misgav, Maariv) The appearance of the prime minister, while defining his expected announcement as "dramatic," has finally given the world a different perspective on what happened in his interrogations. 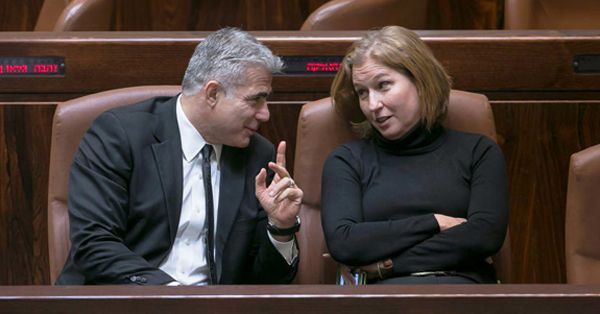 Let go, Bibi, let go: The opportunity for a quick exit without prison is closing (Ben Caspit, Maariv) Among his associates, that is, those who are not yet state witnesses, the feeling of defeat spread throughout the week. For the first time they look at him and see a drowning man clinging to the straw. An outgoing prime minister whose expiry date passed. The death rattle of Netanyahu's premiership (Shimon Shiffer, Yedioth/Ynet) The prime minister's new lawyers were probably none too pleased with his 'dramatic speech' last week, when he tarred and feathered his predecessors, bringing up Sharon and Olmert's past legal woes in a desperate attempt to save himself. Corruption and distortions in the holy system: not everything is pure in the State Prosecutor 's Office opinion (Meir Uziel, Maariv) Someone wants to make people believe that there is a perfect system up there that mortals are unable to know its secrets. Many senior jurists even claim that the PM is persecuted. The Flaw in Israel's Electoral System (Raviv Drucker, Haaretz) Our electoral system encourages such warped politics - you can gain power even when 52 percent of the public doesn’t want you to be the next prime minister. *What is the point of a Jewish state if politicians disagree with "do not murder"? (Shay Lahav, Maariv) A woman was murdered by stone-throwers, apparently Jews, and the Shin Bet arrested and interrogated. And the politicians of the right-wing? They have found a new target: the Shin Bet. (Right-wingers) are scared to condemn (the attacks on the Shin Bet and the act itself) lest they be accused of being leftists...Since then, the Shin Bet has been attacked by right-wingers, it has been revealed that settlers traveled on the Sabbath to advise the youth who allegedly threw the stones how to act if they are detained by the Shin Bet, Justice Minister Ayelet Shaked met with parents of the suspects...This story is so outrageous, because it should not have anything to do with political views. As per other ancient words, "Thou shall not murder,' for G-d's sake! What is the point of living in a Jewish state, and going through so many trials and tribulations to protect it, if the officials of this country do not see fit to condemn such an abysmal act? How are we different from other nations, if the murder of an innocent woman does not shake us, just because the murderer comes from among us (allegedly), and the murdered person is the daughter of another people? And everything else is under the cloak of yeshiva and Torah and the values of Judaism. And suddenly it is permissible to travel on Shabbat, in order to try to derail an investigation...My disappointment is not only from the politicians. They will do anything before the elections to kiss up to the public (whose support) they want. But what about that same public? Are the Israeli right-wingers at peace with this behavior? Is this their dream, a large Jewish state in which innocent people are allowed to be harmed only because they are not Jewish? I have no research tools on the matter, but I am convinced that many right-wingers are also shocked by such incidents. But most of them are silent, because extremism rules, and any form of criticism is immediately interpreted as an attack on the national camp. And no need to add, that we don't want to be called leftist. And this is a real tragedy. And the fact - which is true - that on the Palestinian side there is more cruelty and acts of this kind is completely irrelevant. We must maintain human dignity. Not as Jews, but as human beings. And this week we seemed to be moving away from that. The murder of Aisha Rabi: It is obligatory to ask - is it possible that non-Jews committed the act? (Menachem Ben, Maariv) The possibility that Jews did this is of course terrible, but the whole thing is very puzzling and troubling, which raises doubts about the Shin Bet investigation. "Jewish terror": A state can not discriminate between its citizens, one law for a Jew and an Arab (Prof. Arieh Eldad, Maariv) I was sorry to see the pictures of the capture of Assam Barghouti, the murderer from Givat Asaf, walking alive among the soldiers who had captured him. If this is the case, why are Jewish minors suspected of "murder"? When Freud Visits Israel’s Civil Administration in the West Bank (Amira Hass, Haaretz+) Discussions with and among soldiers provide Freudian treasures to scholars of Israeli colonialism. 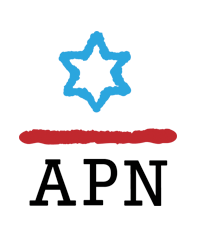 Fed up with myths, these American Jews are challenging their Israel education (Tom Pessah, +972mag) They grew up on the myths of a heroic Jewish state, joined Zionist organizations, and learned the talking points. But something along the way made them question everything. Why It's So Hard for U.s. Jews to Have a Serious Conversation About Arabs in Israel (Brian Lurie, Haaretz+) Too often, the most polarizing voices on the left and the right police and dictate how we in the U.S. Jewish talk about and engage with Israel, Birthright and Arab society. Eisenkot's army release present: Attacks on Syria no longer "according to foreign sources" (Yossi Melman, Maariv) The IDF's Information Security and Censorship Department has a habit of allowing generals to be proud of their operations in retirement interviews. Israeli Army Chief’s Parting Message to Soleimani, Nasrallah and Khamenei (Anshel Pfeffer, Haaretz+) Gadi Eisenkot has long masked a no-longer secret war with Iran while making it clear to Tehran that all their efforts in Syria have amounted to nothing. Where has Hassan Nasrallah gone? (Smadar Perry, Yedioth/Ynet) The leader of Iranian-backed Hezbollah hasn't been seen for over two months, prompting many to speculate about his health, which some say has been swiftly deteriorating. Ambiguous No More: Israel Owns Syria Strikes, but Iran May Get the Last Word (Amos Harel, Haaretz+) Iran and Hezbollah might be tempted to spark a provocation or make a surprise move in the north, if only to place Israel’s new unambiguous approach in an absurd light. The many battles of Gadi Eisenkot (Yossi Yehoshua, Yedioth/Ynet) The departing IDF chief of staff has experienced victories and defeats over the past four years; will his successes in the Palestinian arena and most recently against Iran in Syria earn him a place among the greats? Deal with the Golan: Netanyahu is trying to extricate recognition from Trump and it doesn’t seem to be working (Ran Edelist, Maariv) Trump's national security advisor, John Bolton, landed this week in Israel to help the prime minister in the election campaign and to concoct a new deal that is actually nothing more than a gimmick. 'McJesus' Affair: In Israel, Culture Is Now a Dirty Word (Shany Littman, Haaretz+) Not only is freedom of expression a liberal, Western value and therefore unnecessary in Miri Regev’s opinion, but culture as a whole becomes a dubious idea.